In his presentation of the 2019 budget, Zimbabwe’s Finance Minister Mthuli Ncube bemoaned the fact that foreign operators are taking advantage of technology to provide services to local individuals and thus generate income from Zimbabwe but are not being made to pay tax on it. Mr Speaker Sir, technological advancements have enabled foreign companies, particularly satellite broadcasters and e-commerce platforms to provide local residents with services from offshore sources. This income is subject to tax and the activity generating the income is actually paid from a source within Zimbabwe. For the avoidance of doubt and in order to broaden the tax base, I propose to deem income earned by such non-resident service providers to be from a source within the country and liable to tax. Zimbabwean tax is supposed to be paid on Taxable Income earned from income generated when one is in Zimbabwe. So for example a Zimbabwean novel writer who writes a book and sells the rights of the book to Penguin should still pay taxes on proceeds from that book. Conversely if you are employed abroad for a long period of time you are exempt from Zimbabwean taxes. Also embassy personnel and their dependants are liable to pay and should pay taxes in Zimbabwe. The key words are income generated in Zimbabwe though. Technically speaking these companies are not really in Zimbabwe and as they have no physical presence here. They have foreign domain name TLDs such as .com and are hosted on foreign servers. In my humble opinion while it is galling that technology has allowed these companies to have a sizeable market share without ever setting foot here the alternative is a Pandora’s box. It would be akin to taxing Toyota because it is selling a lot of vehicles to Zimbabwe! Where does it all end? Besides while Amazon et al collect VAT/Sales Tax in Europe and the U.S Zimbabwean customers are exempt from this VAT/Sales Tax. Taxing foreign online companies will only work if you have leverage and Zimbabwe has very little of that right now. 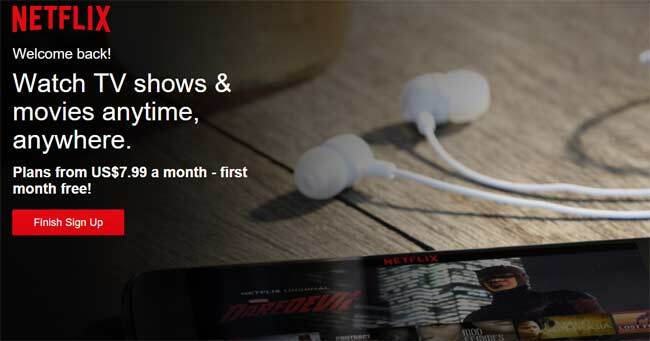 It would be easy and probably less of a headache for Netflix to just remove Zimbabwe from the list of available countries than putting up with the tax nonsense. I do not have the data but how many Netflix subscribers do you suppose are in Zimbabwe? How many people pay for Facebook advertisements? The other thing is that these companies are American owned. Corruption is legal in America, they call it lobbying and boy do these companies like to lobby American lawmakers. Lobbying involves them paying off senators and congressmen and congresswomen. Companies such as Google and Facebook have a lot of pull. Uncle Sam likes to protect his capitalism and we want ZIDERA to be scrapped and America on our side as they are the de facto caretakers of the Breton Woods institutions. Nothing irks US politicians than the seeming appearance of their companies being treated unfairly. Donald Trump is a bullish pro-business president who likes confrontation and pandering to his own base. They will not stand for it I assure you. These are famous last words but sorry Honourable Minister these taxes would be hard enough to enforce technologically without the political and cloud hurdles. It is never going to happen in our lifetime. FYI Satellite provider DSTV and I would imagine Kwese already pay their taxes as part of their licencing. The rest will never agree to pay. It is possible to tax any service provider who provides services in the country but mot present: 1. If pyments are being done from Zimbabwe it is easy to levy the tax from the source of funds. Currently this might be a challenge die to the foreign currency shortages. 2. Easier way – we currently monitor all internet traffic in this country and this is a point to tax as we know where the traffic has originated and who is consuming it. Technologically VERY FEASIBLE. Not really a feasible option.. Taxing people based on their traffic. What if its a visitor on your premises that has a netflix account? So you get billed/taxed because they used netflix off your link? Matching a Netflix subscriber to an internet link is technically impossibly as links can be shared. It’s like taking money at tollgates then re-actively trying to figure out who went to a specific location so you can bill them more. It is not the user that is taxed but Netflix as a service provider doing business in Zimbabwe, which is fair. Multichoice does business in Zimbabwe, it has created employment directly and in directly, how do we protect them as an investor inner country? Should we only protect Olivine, Pure Drop or United refineries? This is limited thinking. If Netflix is competing with businesses who provide revenue to the country why should we protect US companies making money here? Any country that you do business in has taxes and if you want business there pay tax, simple rule. Alphabet, Facebook, Alibaba makes billions in advertising and on their profiles they advertise their coverage and it based on the audience that advertisers picks them and advertise so where do governments get their share if the companies are not domiciled in their areas of operations? Its sad to think that we could be living in the last heydays of the global internet. In more and more countries these taxes and fees, impossible levels of filtering and censorship and weaponized copyright laws are fragmenting the net at a serious rate. Just imagine, we could end up with the ZBC version of the net! I occasionally make payments for ads to Fbk and Google. The gvt charges me 3% e-commerce tax, that’s $30 per $1000 USD. Money they shouldn’t even be earning. As I promote my business, I eventually create employment for locals and then pay income tax (profits). Its sad when all a gvt thinks about is how to increase and earn more tax. Shame, shame! Thieves at it again. Get off your butts and find investments instead of fleecing us. I think this is not a fair comment, who is the government stealing from here? Netflix? Alphabet? Alibaba? In their countries they are taxed why should we not tax them here? We live in Zimbabwe and we pay tax, someone does not live here and makes money here and does not pay tax so who is stealing here? The minister has done well to realise that tech companies are growing and are making Billions and at the same time evade tax because of technology is it a crime that the minister wants to be innovative? I think we the people are selfish as they are thinking about themselves (Subscriptions going up) we need a collective vision to build the country, no one can do it for us but ourselves, if the government has done something commendable lets be positive but if it has not then we can complain. What we need is production on farms , mines and industry to create more employment and increase the tax base. You will never tax a nation to prosperity without the tax base. How many users in Zimbabwe pay for adverts on Google , Facebook etc ? Who needs who here ? Technically it would be a nightmare. They are targeting Econet we all know that. Thanks God there is TOR browser and VPN . so the drama continues in this trash country of ours..it never stops , does it ? If I go to South Africa and buy Cooking oil and toileteries, does this mean the manufacturers of those products are going to be taxed because they have made money from a Zimbabwean? Idiots should’ve just let Kwese do it’s thing. There they can tax and make a killing just like with Econet. Nigeria and India just created Nollyhood and Bollyhood respectively and they are almost even. Why can’t we encourage entrepreneurship and tax whoever want our content and products ? Taxing specific internet services requires the government to invest in more advanced technology that will keep track and records of all accessed internet services. this is more complex than monitoring lets say mining business in Zimbabwe.This is more challenging and for an economy like ours to engage in such moves we really need to put mining and farming back on its foot first. First things first, Whilst it can be possible to implement this we still know that the ordinary citizen of Zimbabwe is the one who suffers since this tax is simply passed on to the end user. No wonder why our country already have high rates charged on internet use, this service should be almost free it simply smooth en how we do business with the international world. remember we are now calling it a global village due to internet accessibility. now imagine the type of Zimbabwe it can be when all these taxes start to come in. Ngatisabatire zvinhu pamusoro first things first.